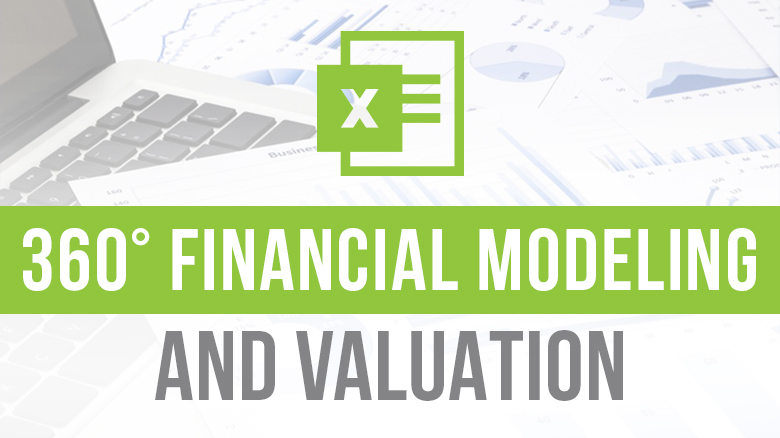 The CEILING Function in Excel returns a given number rounded up to a specified multiple. CEILING Function is always used for rounding up. Its purpose is to Round a number up to nearest multiple. It returns a rounded number. What is a CEILING Function in Excel? What is the syntax for CEILING Function? Where can be CEILING Function used? What is the difference between CEILING Function and CEILING.MATH Function? 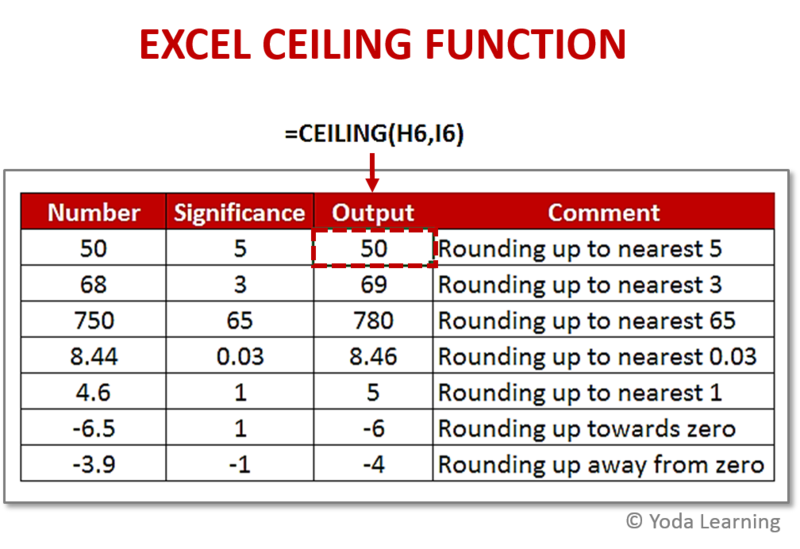 ➡ What is a Ceiling Function in Excel? ➡ What is the Syntax for Ceiling Function? ➡Where can be Ceiling Function used? ➡ What is the difference between Ceiling Function and Ceiling.Math Function? The CEILING function in Excel rounds up a number to a given multiple. CEILING function can be used to set the pricing after currency conversion, discounts, etc. It works similar to the MROUND function, but the only difference is that CEILING always rounds up. CEILING function is a sub-category of the Compatibility Functions in Excel. The syntax for CEILING function is very simple and easy to understand. =CEILING(A1,1) It will round the value in cell A1 upto the number 1. CEILING Function can be used to round the time in hours, minutes or seconds upto their nearest interval. Time is a very important measure and used everywhere. Therefore, CEILING Function plays a very important role as it is used for rounding time. Likewise, it is also used to roundup the dates. Also, other applications of CEILING Function are to round up to the bundle sizes, randomly assign people to groups or teams of a specific size etc. Let’s take a simple example to understand the working of CEILING Function. As shown in below picture we have positive and negative numbers in the data table. We have also given a significance for rounding the numbers. Here, the first number is 50 and the significance is 5. But we all know that 50 is the exact multiple of 5. That’s why we get the output as 50. The next number is 68 and the significance is 3. The output we get here is 69, because 69 is the multiple of 3 which is nearest to 68. In this way, CEILING Function helps in rounding the numbers. Here, we come to know about the function. Its purpose, its uses, the formula to be use, where can we find this function. Hope your concept regarding the CEILING Function is clear and you can now carry out this function easily.